Selling a house can be a stressful and time-consuming process, particularly if the property has problems or is in disrepair. Whether you’re selling a house with subsidence, Japanese knotweed or sitting tenants, any issue will have a significant impact on the value of your home. Problem properties can come in any shape or form and it’s important to understand what issues can leave your home unsellable. Our blog looks at what a problem property is and the common issues homeowners face. 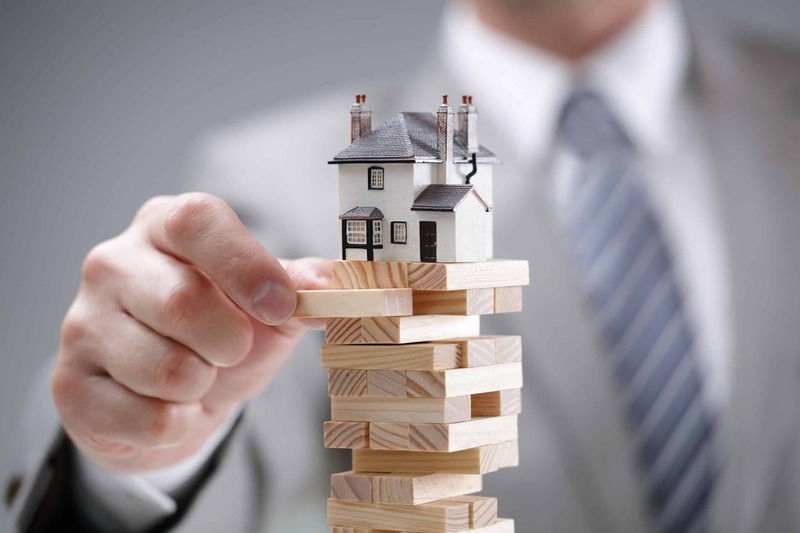 The term ‘problem property’ is used to describe any land or building that has negative issues associated with it, such as uncertain ownership or flooding. These issues make the property harder to sell and are usually found during a specialist building survey. Common external problems include slipped slates, overgrown vegetation, subsidence and damaged drains, while internal issues can be anything from condensation to faulty wiring. Bulging walls: Bowing, leaning or bulging walls are usually a sign of decreasing stability, which can result from vibrations caused by heavy traffic, additional floors being added to the property, insufficiently thick walls, or a lack of restraint between the external walls and floor joists. Cracked window sills: Cracks in window sills and lintels are often a visible sign of a deeper issue, such as damp, structural movement or foundation failure. If these cracks are larger than 15mm wide, you should instruct a structural survey as soon as possible to find the cause. Sticking doors or windows: Having doors or windows that stick when opening and closing is very common in older properties and is usually due to distortion. Distortion can be a sign of foundation settling, where the ground under a home expands and contracts over time. While newer properties are designed to carry their own weight, older houses tend to suffer from structural movement as a result of poor construction. Subsidence, settlement, heave, sway, bulging walls, cracks, expansion and contraction are all forms of structural movement and will threaten the use and even safety of your home if left untreated. One of the most notorious structural problems that will rapidly worsen if left untreated is subsidence. Subsidence occurs when the ground underneath your property begins to collapse, resulting in your property foundations sinking. Selling a house with subsidence can be difficult and expensive, as treating the physical signs does not mean the issue has gone away. Sitting tenants: Unless your tenants have broken their contract or the rental term has ended, you have no right to evict them. While some landlords look to buy properties with sitting tenants, it can make it difficult to schedule viewings. Squatters: Squatting is when someone deliberately enters a property with the intention of living there without permission. Squatting in residential properties is illegal and, if caught, trespassers can be sent to prison, fined, or both. Withheld rent: A fundamental part of any tenancy agreement is the tenant’s obligation to pay rent in exchange for accommodation. A tenant has no right to withhold rent, unless it can be argued that the landlord isn’t providing safe and habitable housing. Japanese Knotweed is an invasive plant that spreads rapidly and has a drastic effect on residential property sales. It can cause severe structural damage to your home, as it grows through asphalt, destroys walls, cracks foundations and blocks underground drains. Knotweed will thrive in overgrown gardens or around dilapidated commercial buildings and is extremely costly to treat. The first thing you need to do if you suspect the presence of Japanese knotweed is identify whether it’s affecting your home or an adjoining property. If it’s growing on your land, it’s important to find out the scale of the problem. Even if it looks like there are only a few sprigs, there will likely be a mass of underground growth that will cause structural damage to your home if left untreated. Selling with Japanese knotweed is difficult, as mortgage lenders generally won’t lend on a property where the invasive plant is present or nearby. Condensation: Condensation is caused by moist air settling on walls, particularly in rooms with a lot of air moisture like kitchens and bathrooms. Symptoms of condensation include water droplets on windows or walls, dark mould appearing on glass and an unpleasant smell. Rising damp: Rising damp is caused by groundwater moving up through a wall or floor. If you have rising damp, you may notice damaged skirting boards or plaster, peeling paint and wallpaper or wet patches along a wall. Penetrating damp: Penetrating damp is caused by water leaking through walls. It may expand across your walls or ceiling horizontally and can be a sign of structural problems in a home. It shows up as damp patches on walls or ceilings, which may darken when it rains. If you suspect there’s damp in your home, you should identify the cause, have it treated and get professional approval before putting your home on the market. There are two different ways of owning a home: leasehold vs freehold. With leasehold you own the right to occupy a home, but you don’t own the building or land itself. You can only own a leasehold property for a fixed period of time, although most homeowners never get to the end of their lease. It is difficult to sell a leasehold property if there are 75 years or less remaining on the lease. The value of a property diminishes as the lease grows shorter and it can be expensive to renew or extend. This depreciation in value means that most mortgage lenders and building societies won’t lend on a short lease property. If you own a home freehold, you own the building and the land that it stands on until you sell it to someone else. While this gives you the strongest ownership, it also means you’re responsible for everything relating to the property. Most freeholders negotiate through management companies, who are often extremely difficult to deal with and tend to be unfair in their practices. If you’re struggling to sell a problem property, you may want to consider selling through a regulated property buying company like Good Move. We will buy your house in as little as ten days for cash, regardless of its condition. If you’re a homeowner looking to sell your problem property quickly, contact our experienced team at Good Move today.